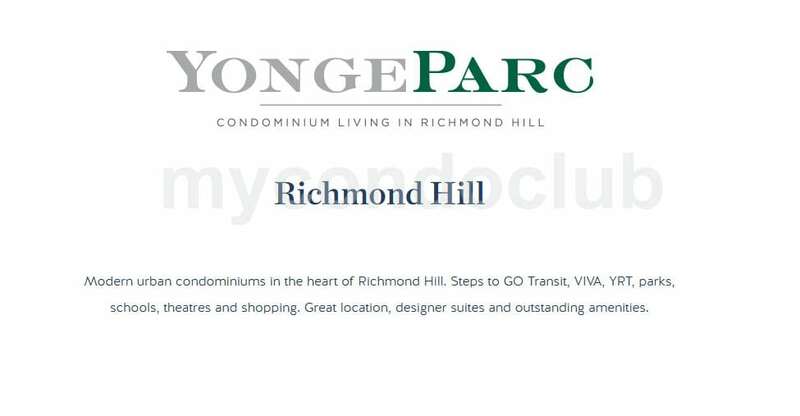 YongeParc Condos is a new condo development at 150 High Tech Road, Richmond Hill, ON located at Highway 7 and Yonge. This development is a mixed use residential condominium in one of the best areas in Richmond Hill. Best place to move in for office-goers, students and family with children as best schools close to the YongeParc Condominium. Based in the Langstaff neighbourhood in Richmond Hill, this condominium will have endless amenities, exceptional interiors, spacious balconies offer panoramic vistas toward Yonge Street and the City Centre. The master plan for Yonge Parc comprises detailed courtyards, with groomed pathways and lush plantings. The podium will have a green roof with an extensively landscaped terrace, arbours and gazebos, a stunning outdoor fireplace, barbecue stations and more. Hot Property Condo Investment in Richmond Hill – YongeParc Condominium will be one of the best attractions located closest to the intersection of Highway 7 and Yonge. Short drive to Hwy 407, and highway 7. Few minutes walk to the Langstaff Community Centre, 11 minute walk to the Langstaff GO Station and also few minutes to the TTC, movie theatres and restaurants, supermarkets, shops in the area so close to the YongeParc Condos. Mill Pond Park, Pioneer Park, Mount Pleasant Park, Royal Orchard Park, Langstaff School Park and Southview Parkette are some of the parks close to the YongeParc Condos in Richmond Hill.